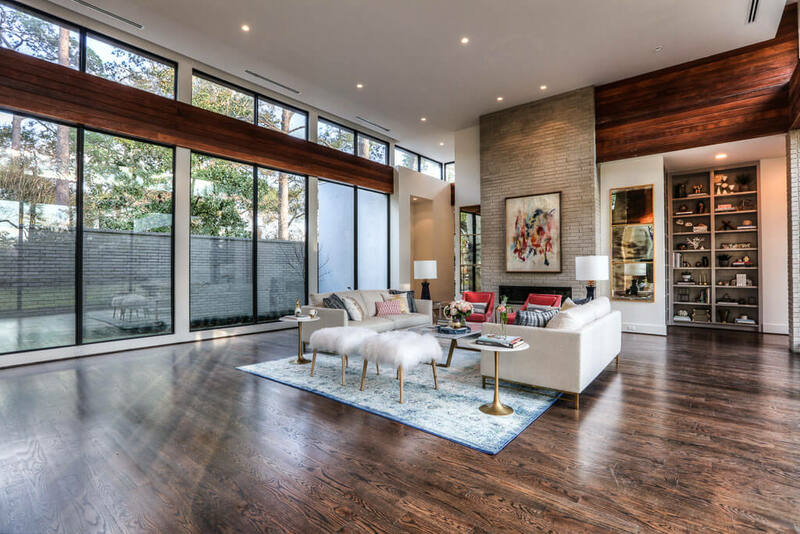 Windows play an important role in your home as their various styles, materials and colors will significantly impact the architectural design and overall aesthetic. More importantly, they also are a significant piece of your home’s energy efficiency puzzle. With today’s energy codes, all the windows going into our new homes are double paned with a gas insulation. We believe in going above and beyond minimum standards, so all of our windows use a high-grade performance low-e glass. Instead of a basic glass, we opt for a glass that is coated in a high-quality gas that has a reflective barrier to reduce temperature transfers. This makes your windows more energy efficient. Additionally, when homeowners want aluminum windows, we always recommend opting for a thermally broken window package, as it once again increases the energy efficiency of your house while significantly decreasing the chances of window sweat. With thermally broken windows, an additional protective barrier is installed in the window frame to mitigate thermal transfers. The three most popular window materials are Aluminum, Vinyl and Wood-clad. Aluminum windows tend to be more modern in design as they have the thinnest profile. Aluminum windows also offer the most variety in color choices, but whatever color you choose it will be the same on the inside and outside. 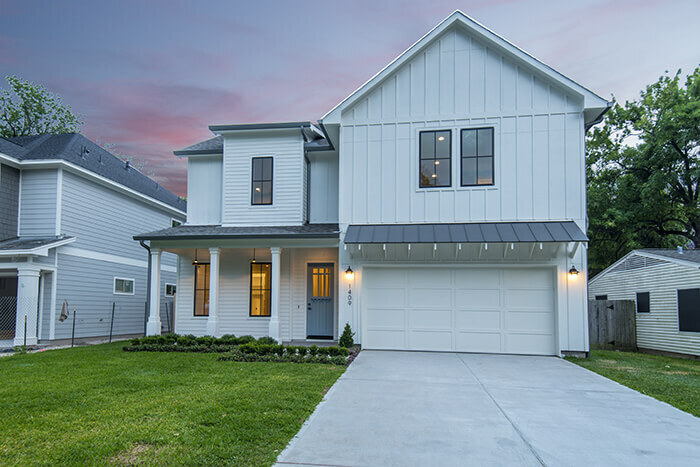 With Vinyl windows you get a slightly thicker profile which makes them more commonly used on traditional style homes including farmhouse or craftsman styles. Vinyl also offers a fair amount of color choices for the exterior, but not as many as Aluminum. Typically, your interior color will be white despite the exterior color choice. Lastly, Wood-Clad windows use wood on the interior, but still use a weather-resistant material for the exterior. With wood, you can have them painted or stained any color you want. 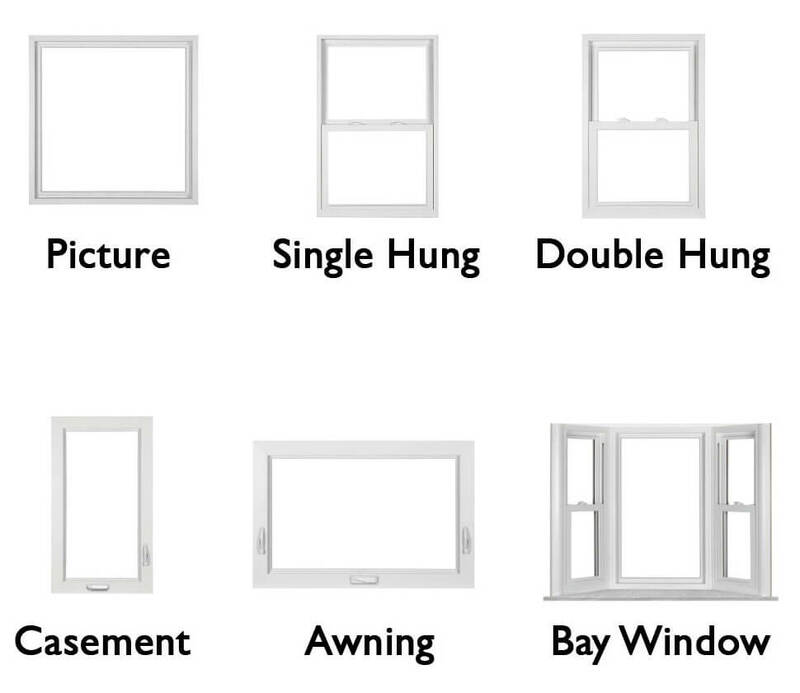 **Not all windows function the same way and there are a variety of options for how you’d like your windows to operate. Fixed glass or picture windows can’t be opened, but are installed solely for lighting. Single hung windows can be opened from the bottom, while the top remains stationary. Double hung windows open from both the top and the bottom in both directions. While not always drastically noticeable, double hung windows tend to have a slightly wider profile than single hung windows in order to allow the added functionality. Casement windows swing open like a door and use a crank operating system. Casement windows are the most expensive of the various window styles, but usually our client’s most desired option. Awning windows hinge at the top nd open outward like an awning. Bay windows add dimension to façade as they project outward creating a nook of space inside. They are great for adding a window seat for reading. Depending on the architecture style of your home, the grid pattern of the window will change. We tend to install windows that have the grid pattern on the exterior of the glass rather than between the glass panes. 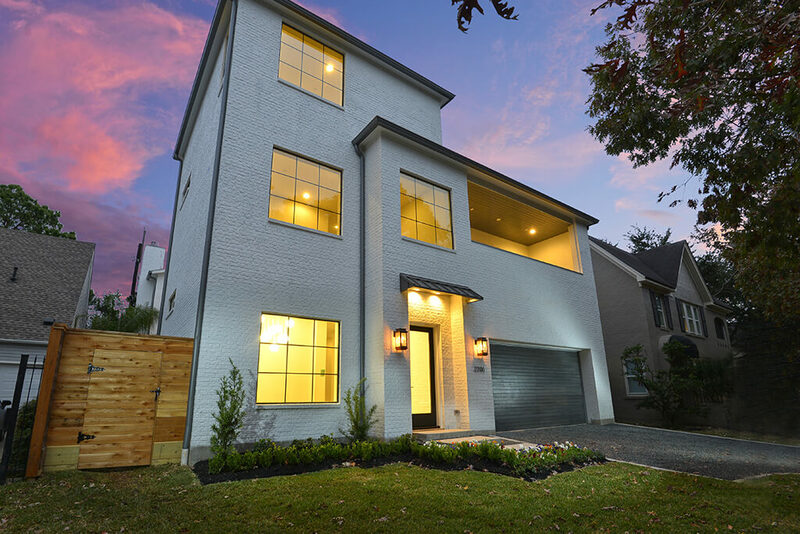 Traditional homes usually feature windows with divided light grid patterns, while modern homes use grid-less uninterrupted light or minimal grid patterns. Window design is the easiest way to blend two architectural styles. 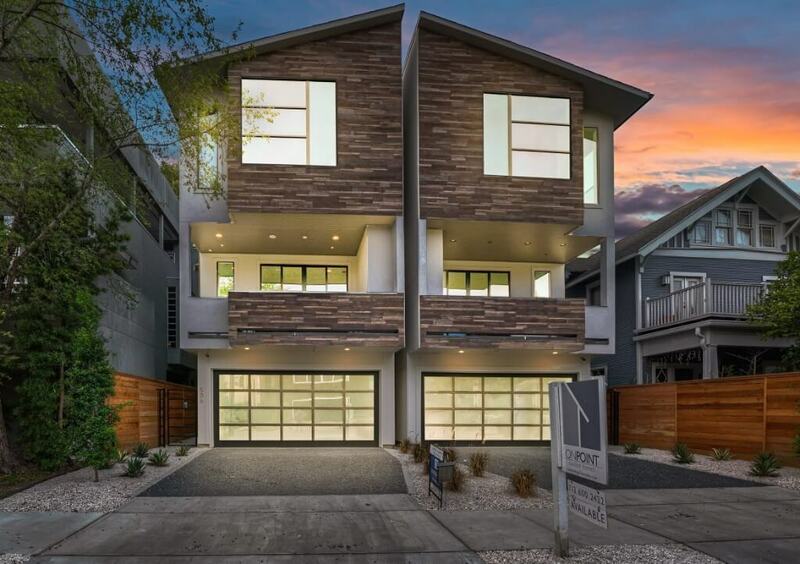 Opting for a modern window package with a traditional architecture façade creates a transitional aesthetic and is one of the most popular design styles right now.